Laura Chaffé of ﻿Pamber Physio﻿ is a re﻿gi﻿stered member of the Chartered Society of Physiotherapy and the Health and Care Profes﻿sion Council. 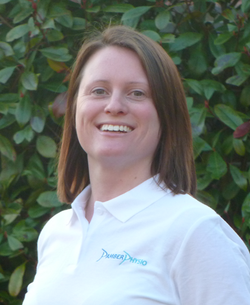 "I graduated with a BSc Hons in Physiotherapy at Southampton University in 2005. Prior to creating Pamber Physio in 2015 I worked in the NHS as a Senior Physiotherapist specialising in Musculoskeletal conditions. I found the out-patient environment a very interesting place to work as everyday was completely different. The superb experience has given me a wealth of exposure and provided knowledge to treat many different conditions. I like meeting new people and thrive on the challenge to get patients back to their hobbies, work or day to day activities. Prior to specialising in Musculoskeletal Physiotherapy, I worked on the Orthopaedic elective ward – treating patients who had undergone hip, knee, shoulder and elbow replacements, ACL repairs, knee and shoulder arthroscopies and much, much more. I have also gained experience working with patients on the trauma orthopaedics ward who had sustained fractures, carrying out rehab after car or industrial accidents. Working on the Intensive Care and High Dependency Unit was rewarding; keeping patients chests clear post major surgery or serious illness. In addition I focused on keeping joints mobile and improve strength whilst bed bound. Following these patients onto the surgical ward to carry on their rehab was a great challenge. Despite working on many different wards I found my heart laid treating patients with musculoskeletal problems. Outside of work I like to stay active and living next door to Pamber Forest is a great opportunity for long distance walking and jogging. I love cycling and enjoy biking around Silchester Roman wall and participating in the Basingstoke Big Wheel charity long distance bike ride for St Michael's Hospice. " Laura was nominated for a 'Director of Nursing Award' for Hampshire Hospitals for both 2013 and 2014.